My grandfather Chuck Lowry was home on leave from the Army in mid-June 1944. After being drafted, he completed basic training at Camp Blanding, Florida and was given approximately two weeks off before he was to report to Fort Meade, Maryland. While on leave, I believe he traveled from Youngstown to Leetonia, Ohio to visit with his grandfather and aunts Eleanor and Katherine Pepperney. I believe this photo was taken in their backyard. He reported to Fort Meade on June 30, 1944. 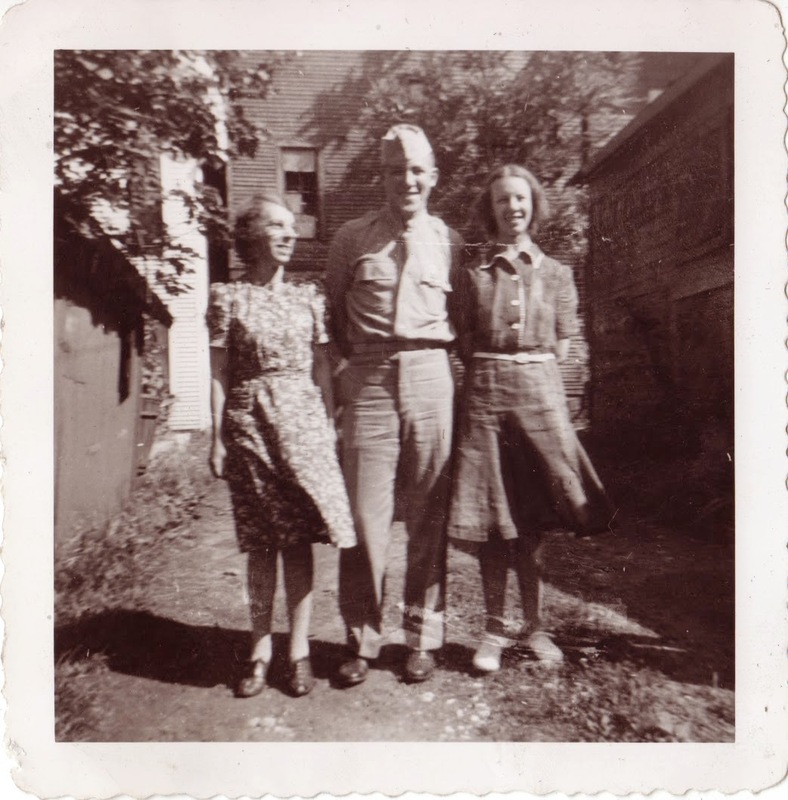 Eleanor Pepperney (1912-1951), Charles Lowry (1924-2007), and Katherine Pepperney (1910-1978), photograph, taken at unknown location, possibly Leetonia, Ohio, in 1944; digital image, photocopy of original, scanned in 2013 by Joseph Lowry; privately held by Mary McCaffrey, [address for private use], Canton, Ohio. One man in service uniform and two woman standing in backyard. Provenance is Mary Pepperney Lowry to Charles Lowry to Mary McCaffrey.